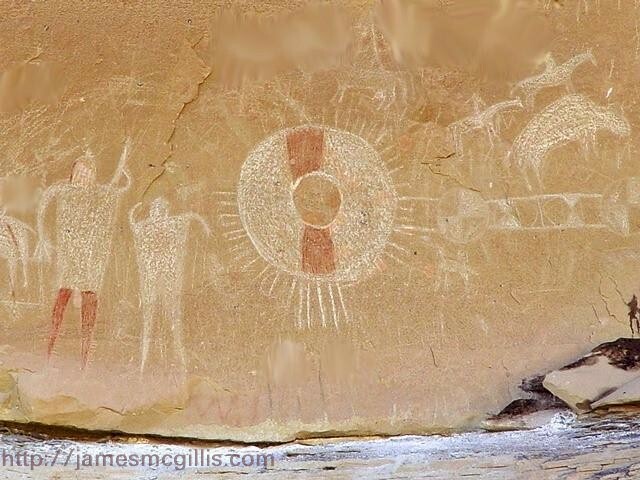 Years ago, I asked several Moab, Utah natives where to see the best of local Indian rock art. 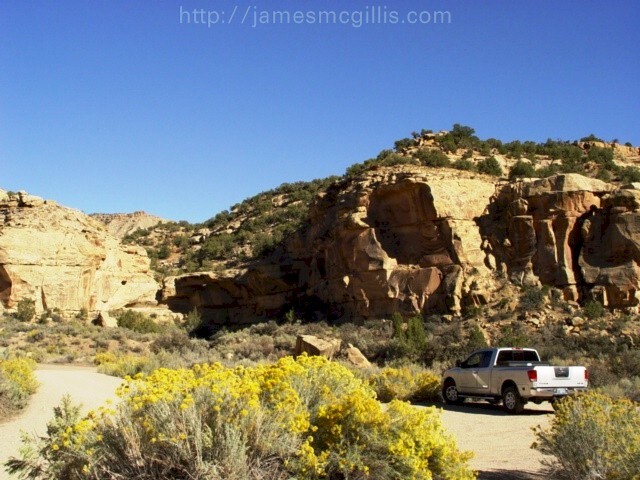 More than one suggested that I visit Sego Canyon, near Thompson Springs. 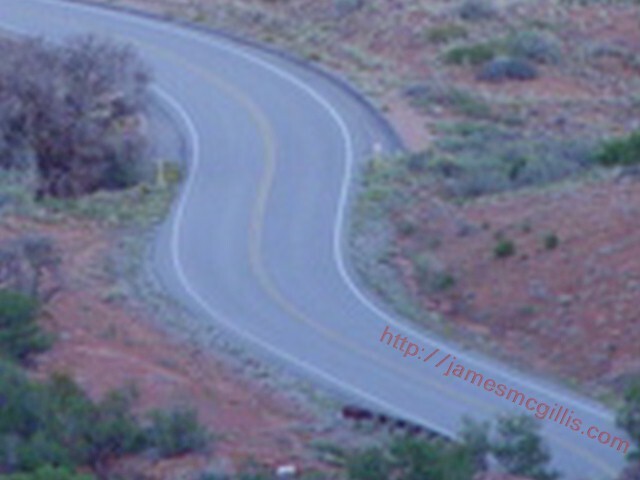 From Moab, it was an easy drive north on U.S. Highway 191 North and then to Interstate I-70 East. Soon, I exited at the Thompson Springs off-ramp. From there, it was a short jaunt north via Utah Highway 94 to what remains of the town once called Thompson. Blessed with adequate water in a desert environment, old Thompson was a natural gathering place. From the time of the Ancients until now, the wells at Thompson have supported human, animal and spiritual life. 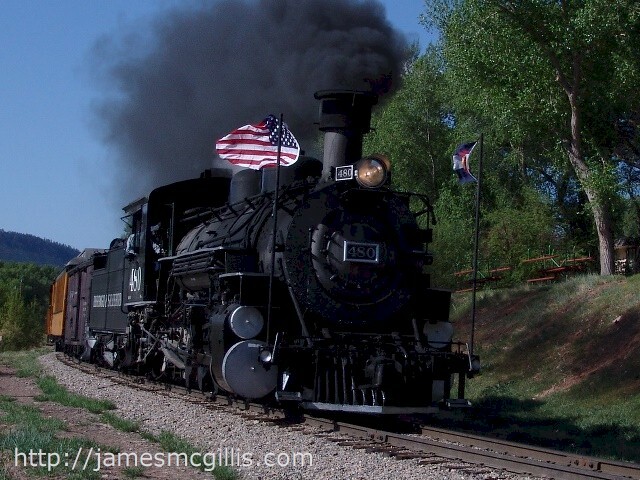 Water was so important in the region that the Denver & Rio Grande Western Railway laid its mainline tracks through Thompson in the 1880s. From then until the advent of diesel trains in the mid twentieth century, every steam engine that plied those tracks stopped in Thompson for water. 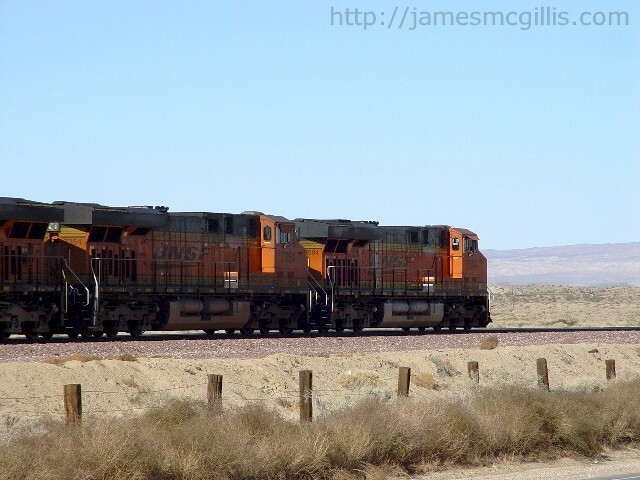 In his seminal book on desert ecology, Desert Solitaire, Edward Abbey once traveled from Moab to the whistle-stop at Thompson to catch an eastbound passenger train. In the 1890s, Harry Ballard discovered and mined coal in the upper reaches of Sego Canyon. For a few years, the town of Ballard flourished. 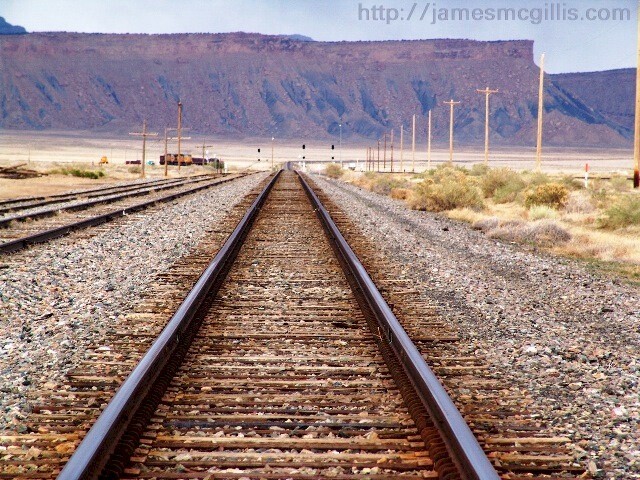 In 1914, the Denver and Rio Grande Western Railroad built a spur line from Thompson to the coal camp, which crossed the stream thirteen times in its five mile journey. In a precursor to what may soon reoccur in Thompson Springs, the watercourse at Ballard dried up and investors soon abandoned the enterprise. Today, Ballard is a ghost town, crumbling back into the floor of Sego Canyon. In the early 1970s, when contractors finished Interstate I-70, its route paralleled both the railroad tracks and old U.S. Highway 6 & 50. As a remote highway construction camp, Thompson bloomed briefly in the desert. To this day, the Utah Transportation Department maintenance shed and yard serve the lonely stretch of I-70 between Green River, Utah and the western border of Colorado. Sometime after I-70 opened, Thompson became the “Thompson Springs” that we know today. When the interstate highway bypassed Thompson Springs and steam trains no longer stopped, the town became an afterthought to the world of transportation. Old mobile home parks now stand empty of dwellings. During my visits, I found no overnight lodging available there. A motel and restaurant across from the old rail depot stood gutted and forgotten. Even so, a few hardy souls still live in Thompson Springs. Other than the trains that rumble through town, the people of Thompson Springs live with the luxury of a quiet existence. 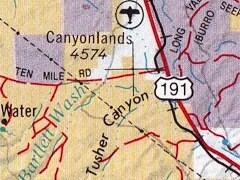 Continuing north through Thompson Springs on Utah Highway 94, the road changes designations, becoming Sego Canyon Road and Thompson Canyon Road. 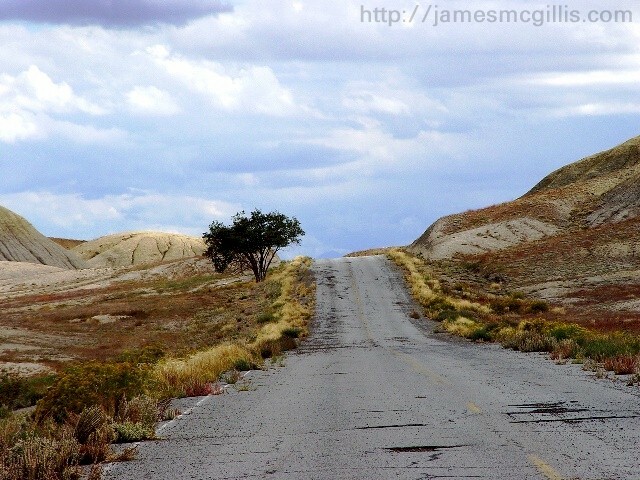 Farther north, as it begins its ascent into the Book Cliffs, the road becomes BLM 159. 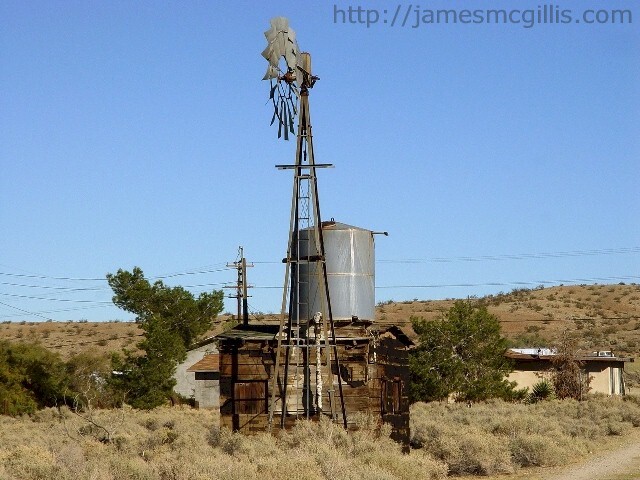 With Thompson Wash winding alongside, signs of contemporary civilization quickly fall away. About half way up to the border of the Uintah and Ouray Indian Reservation, there are a few wooden signs and a gravel parking area. From the parking area, it is a short walk to a series of Indian Rock Art Panels. 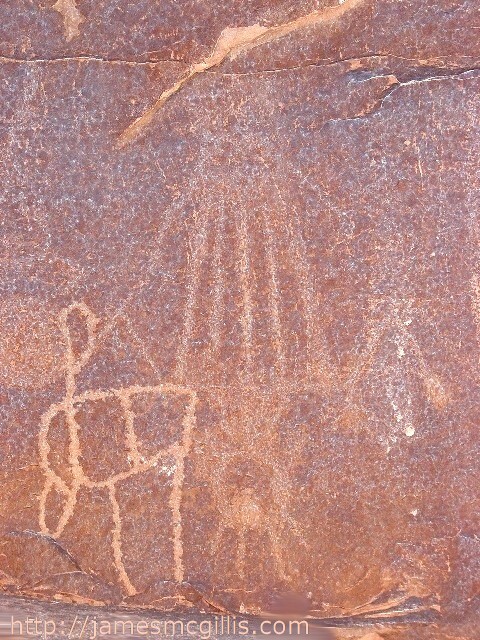 Spanning several millennia, the panels include one in the ancient Barrier Canyon Style, several in intermediate Fremont Style and more art in Ute Historical Style. No other place that I know has such a concentration of high quality rock art from so many different eras. After my first visit to the rock art panels at Sego Canyon, I dubbed them the “Sanctuary of the Ancients”. With so few visitors in the canyon, I found a solitude that one rarely finds in the High Southwest. The loudest sounds I heard were birdcalls and the rustling of sagebrush in the wind. My only living companions were cottontail rabbits and an occasional lizard, doing pushups on the rocks. 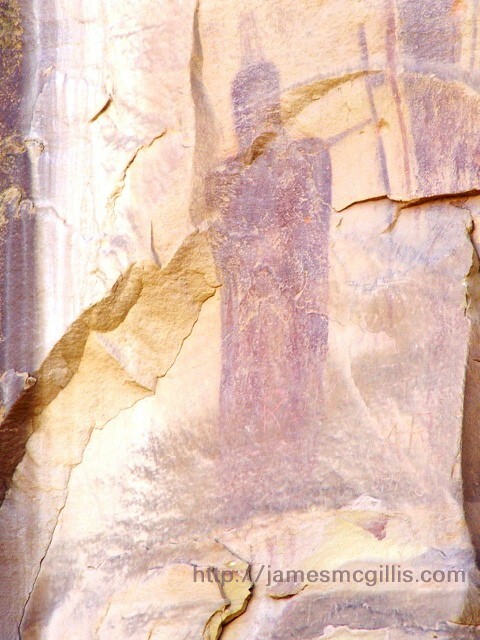 As I watched, the changing light of afternoon brought life to the different figures carved, etched or painted upon the walls of Sego Canyon. Not knowing ancient from recent Indian rock art, I formed my own creation myths from the figures that I saw. Some figures appeared to me as time travelers, perhaps from ancient realms or alternate dimensions. Others looked like families, holding tools and welcoming visitors to their land. If one were looking for ancient, mysterious or extraterrestrial characters to populate a play or novel, this would be their meeting place. Upon my second visit, I had gained a bit more knowledge of Indian rock art. Even so, I experienced the same awe as on my first visit. Pausing, I looked up from the ancient Barrier Style rock art panel to see two godlike or perhaps human images imposed upon the stone surface above. Not until I returned to Moab and studied the photos from that day did I decipher the interwoven countenances that held court above that sacred site in Sego Canyon. There, the faces I call Father Time and Mother Nature nestle in relief, cheek to cheek in loving ecstasy. Her countenance faces right, featuring voluptuous lips and nose. To her right and nestling with her face is a gray haired and bearded man, eyes closed in ecstasy. For millions of years they have occupied the canyon wall. A scant five thousand years ago, humans found this sheltered spot and carved or etched their sacred images upon the lower portion of the canyon wall. Starting with the earliest of human civilizations, each generation seeks to leave its mark upon the land. From the pyramids of Ancient Egypt, to the Mayan temples in Central America, or the sheltered cliffs of Redrocks Country, humans have left their enduring mark. I often wonder how such stone edifices and drawings remain visible, even in our time. To me, they are the gifts from the Ancients to the people of today. 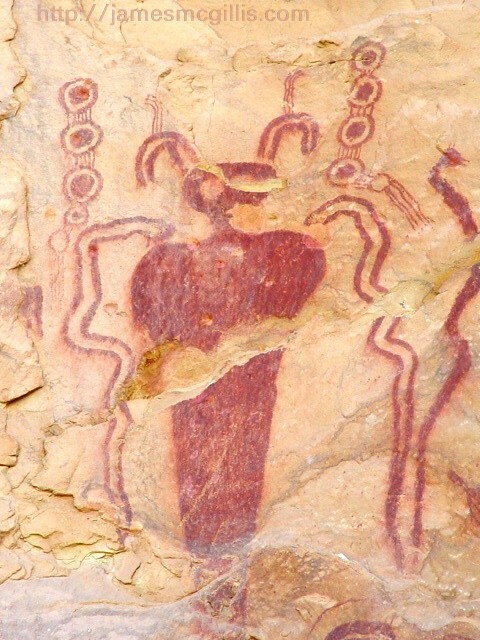 In Sego Canyon, each succeeding culture revered the artwork laid down before, then added to the sacred artistry. In the year 2014, the sanctity, solitude and ancient reverence of Sego Canyon may well end. After five or ten thousand years of respectful treatment by the humans who have visited Sego Canyon, the Grand County Council plans to put a stop to all of that. At present, all three options in the long-term usage plan for Grand County Public Lands dictate Sego Canyon’s demise. Without exception, all three plan options call for a fifteen mile long, one or two mile wide transportation corridor straight up Sego Canyon. Commonly called the “Hydrocarbon Highway”, this newly paved and widened road will serve a Mecca of tar sands mines planned beyond the rim of the Book Cliffs. With their undifferentiated planning options, the Old Energy extractionists and their Grand County Council cronies have stacked the deck against antiquity and environmental preservation. 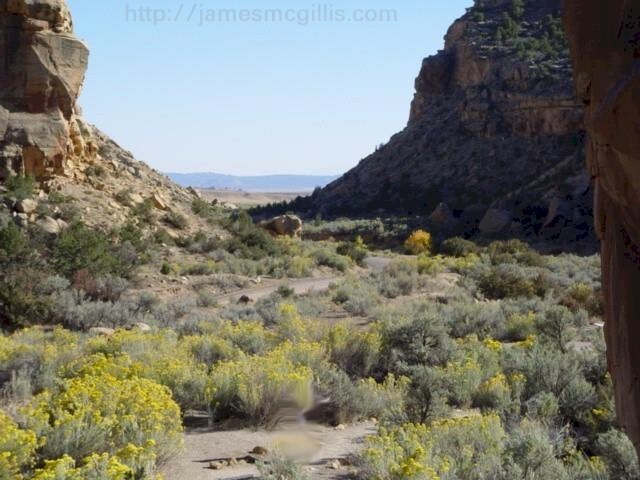 Taking a shortsighted look at Grand County resources, council members and their Old Energy backers assume that there is no value in prehistoric and historic continuity at Sego Canyon. In the land beyond the Book Cliffs, there are tar sands to mine, hydrocarbons to extract and clean air to foul. 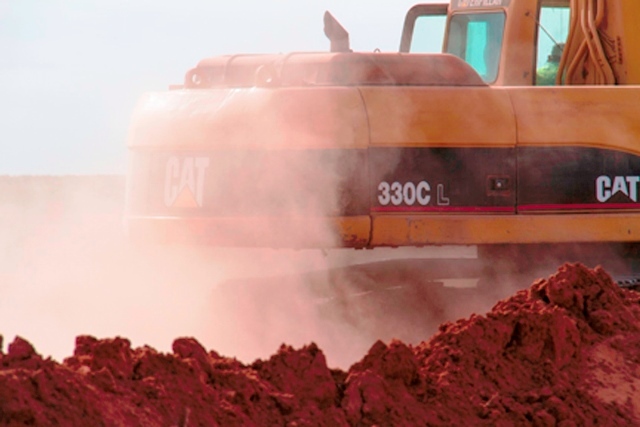 As if there are no consequences for mining, transporting, refining and burning the dirtiest of fossil fuels ever discovered, the Grand County Council plans to help extract and transport as much dirty fuel as possible. If a duly elected council proposed a hydrocarbon highway across Temple Square in Salt Lake City, Utah, St. Peter’s Square in Rome or between the Pyramids of Giza in Egypt, what would we think? No one in the civilized societies on this Earth would agree to such desecration of a religious site. Yet, Sego Canyon, as a sacred site, is older than Temple Square or St. Peter’s Square, and nearly as old as the Pyramids at Giza. If British Petroleum proposed a road and pipeline through the middle of Stonehenge, might the citizens of England raise their voices? 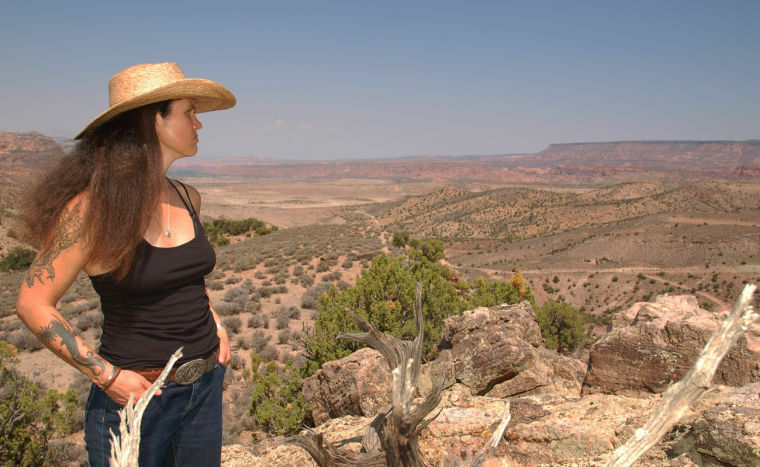 By what right do seven council members in Grand County, Utah plan to desecrate and destroy one of the oldest sacred sites in the United States? We, the citizens of Gaia, this living Earth must raise our voices against the greedy desecration of the holy sites and sacred art at Sego Canyon. If the seven council members have their way, they will end over five thousand years of human reverence for Sego Canyon. Instead, a paved highway will replace the winding dirt road and solitude will vanish from the land. 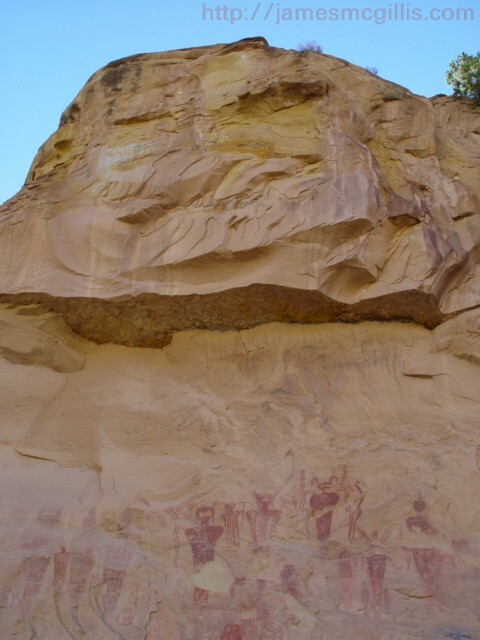 When the last ancient rock art panel crumbles to the floor of Sego Canyon, will Father Time and Mother Nature still reside upon the brow of that canyon, or will they too fall in a heap on the canyon floor? Unless Grand County stops this folly now, we will have the human geniuses of its elected council to thank for the whole show. In Desert Solitaire, Edward Abbey rafts down a section of the Colorado River through Glen Canyon. By the time he could publish that book, the sacred sites in Glen Canyon lay beneath one hundred feet of Lake Powell water. For the rest of his life, Edward Abbey wrote about, made speeches about and generally railed against the travesty of Glen Canyon Dam and the huge evaporation pond we call Lake Powell. Sixty years later, will we stand by, ringing our hands about the imminent loss of Sego Canyon? 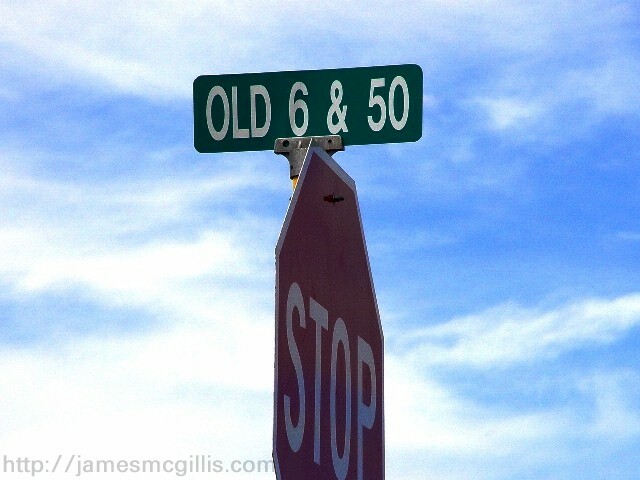 Alternatively, will we inform the Grand County Council regarding the error of their ways? Occasionally, one person rises up and makes a difference. 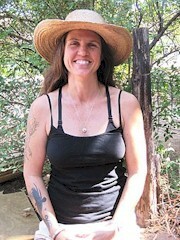 At Moab, Utah, such a person is Ms. Kiley Miller. 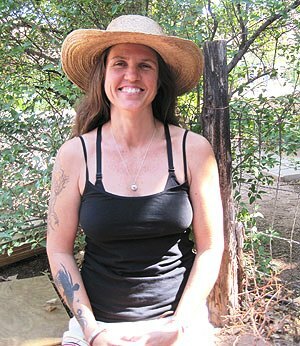 Over the past several years, Kiley has investigated and publicized the dangers of industrializing the desert in Grand County and Greater Canyonlands. 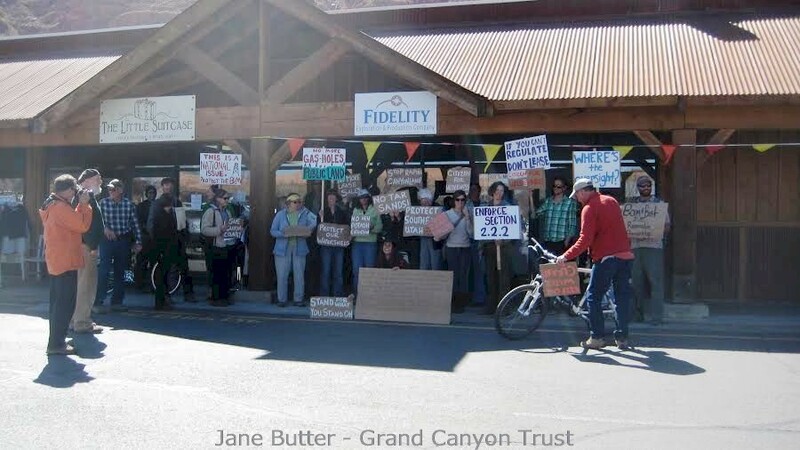 Her latest attempt to gain both public and institutional support for saving Greater Canyonlands was in the form of a peaceful protest on March 20, 2014. 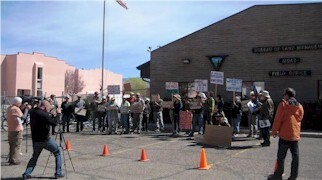 That the protest took place in Moab on the first day of spring indicates the spirit of hopefulness that Kiley Miller and forty intrepid local citizens brought to this important debate. “Thanks to All who showed up for the protest!!! It was awesome to see y'all there. About 40 people showed up! The BLM kindly sectioned off part of their parking lot just under the BLM sign as our "free speech" zone. Sarah & Emily Stock & I went in ahead of time & were greeted by Lisa Bryant. We let her know this was a peaceful protest & that it was not personal but that we are protesting the agency as a whole & do not approve of what is happening to our public lands. John Weisheit & others spoke of national energy policy, pipeline safety, alternative energy etc. Carol Mayer pointed out that thankfully there are people out there in the community paying attention to what is happening in the region & raising the red flags. 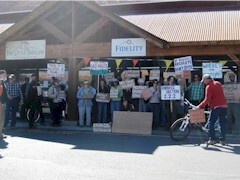 We then walked over to the Fidelity Exploration office & they just happened to be closed so John Weisheit gave ‘em a call asking that someone please come down & talk with us but no one came. Members of the press were there & many of us were filmed & interviewed. A participant named Judy came to me & said she got goose bumps from my Ed Abbey quote sign & that she was so happy to see so many young people there. She was new to protesting & wants to be more involved. It felt great to stand in solidarity with fellow citizens who were all there to show their love & support of protections for this beautiful place. Canyon Country Rising Tide along with other groups & citizens will continue to have demonstrations in the future, I hope to see more of you at them. - My new favorite Ed Abbey quote spoken through George Hayduke from the Monkey Wrench Gang. If interested, you may contact Kiley Miller by email. If you do, please tell her that Moab Jim sent you. 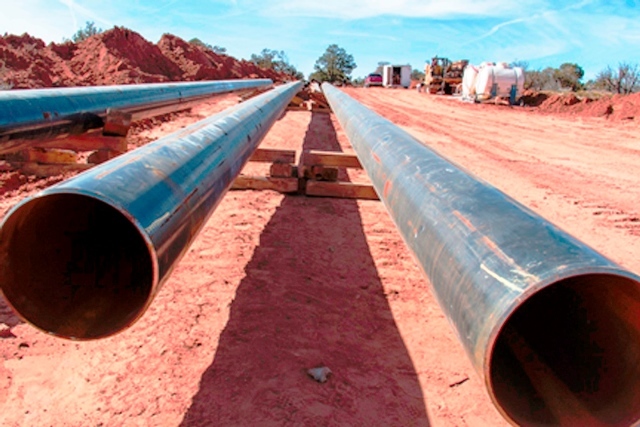 In late March 2014, the Utah Recreational Land Exchange Act of 2009 (URLEA) will become law. In a previous article, I discussed the final agreement between the Bureau of Land Management (BLM) and the Utah State Institutional Land Trust (SITLA). Both my article and my written protest to the BLM pointed out significant errors in the official Appraisal of at least one exchange parcel. Unless sufficient changes are made to the Agreement, a Greater Canyonlands National Monument in Grand County will become a wish of the past. 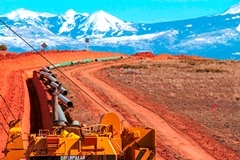 Parcel 32, in direct contradiction to the expressed spirit of the Utah Recreational Land Exchange Act of 2009 (URLEA) is destined to become part of SITLA land holdings in Grand County. 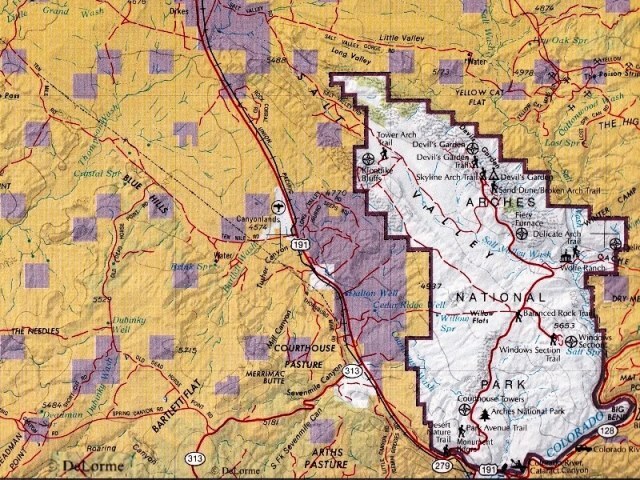 According to BLM contact Joy Wehking, SITLA is on record that they plan to sell all of their new Grand County land holdings to private interests. 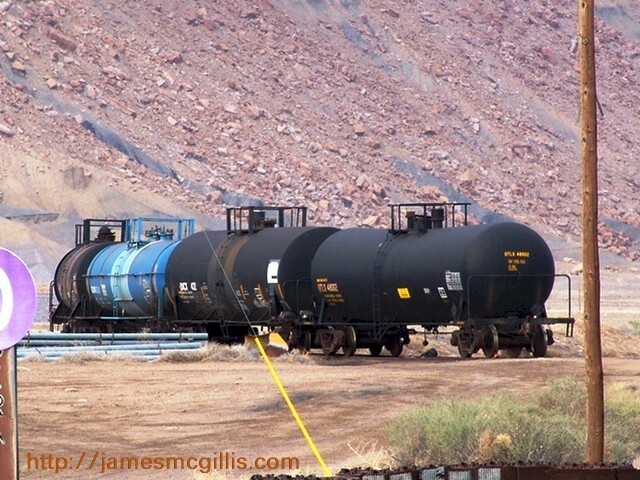 Currently, Parcel 32 has two petrochemical pipelines, U.S. Highway 191, a county road and the Potash Branch of the Union Pacific Railroad running through it. To me, it seems obvious that Parcel 32 is destined for chemical extraction, storage and transportation. According to URLEA documents, the appraisal firm of Cushman & Wakefield’s responsibility was to assess mineral rights on exchange parcels. The catch is that Cushman & Wakefield was to appraise mineral rights only on parcels previously identified by SITLA or the BLM as containing them. In my estimation, Cushman & Wakefield erroneously assessed the “highest and best use” of Parcel 32, calling it grazing land. If Parcel 32 is destined for petrochemical development, there is an obvious disconnection between SITLA, BLM and the Cushman & Wakefield Appraisal. When proposed by U.S. Rep Jim Matheson (D-Utah) in 2009, the core concept of the URLEA was to convey environmentally sensitive and recreational land in Grand and San Juan Counties from SITLA to BLM control. 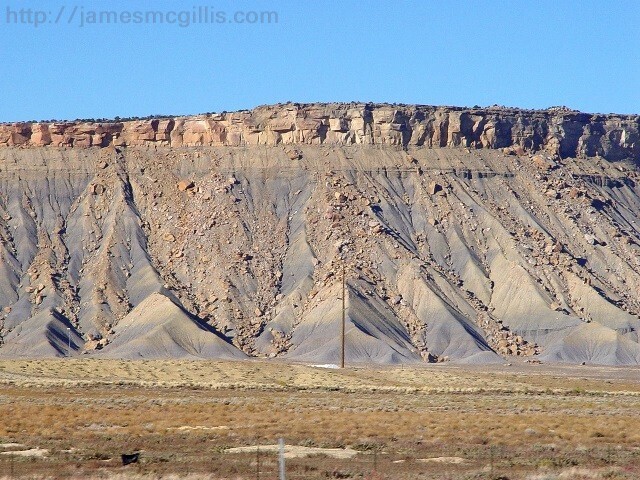 In return, SITLA was to receive Uintah County land of equal value, but with a high potential for mineral extraction. When the Appraisal was complete, Cushman & Wakefield appraised Corona Arch as if it were prime resort property and Parcel 32 as if it were barely fit for range cattle. 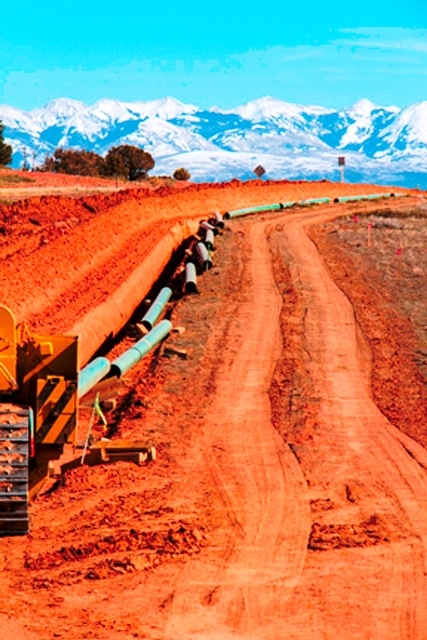 Consequently, Utah/SITLA withdrew 20,000 acres, valued at $10 Million from the land exchange. From those obvious errors alone, BLM should void the URLEA agreement and reappraise all properties according to their probable use. Otherwise, Corona Arch will remain a natural wonder at the end of a footpath and Parcel 32 will become the hub of petrochemical development and transportation in Grand County. 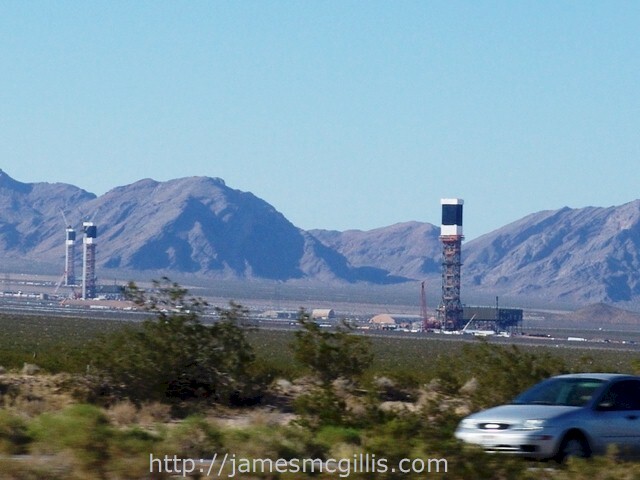 To see the negative impact of creating an "Industrial Desert", one needs only to look at the crippled Brightsource Energy project in California's Ivanpah Valley, near Primm, Nevada. After reflecting on the problems with the appraisal of Parcel 32, I decided to look at two other parcels destined for a similar URLEA “reverse exchange”. Focusing on Parcel 33 in Grand County and Parcel 34 in San Juan County, I discovered immediate issues. Parcel 33 contains approximately 69 acres and Parcel 34 consists of 170 acres. In order to learn more about the parcels in question, I turned to the (final and official) "Decision Record Signed" and the "Exchange Agreement", as published on the internet. According to Page 7 of 9, “Exhibit B - Utah Recreational Land Exchange – Federal Lands and Interests to be Conveyed”, Parcel 33 contains a “road”, reserved in perpetuity. In the same document, on Page 9 of 9, both parcels are located “Behind the Rocks”. Each parcel contains a “Federal Grazing Allotment” issued to one “Kenneth Bates”. In the "Signed" Decision Record, I was shocked to find that Parcel 33 and 34 were Appraised as having a highest and best use of "Residential". After seeing how SITLA and BLM had treated Parcel 32, I was dubious. If not for some form of mineral development, why would this SITLA and BLM “reverse exchange” include open grazing land, appraised as "Residential"? Is it "over the top" to think that SITLA plans to sell these former undeveloped pastures as "estate lots", intended for retired BLM or SITLA board members? Or is some Old Energy company planning to test stealth drilling rigs (see images) that can "hover and extract" without ever touching the land? If not, those parcels should remain open land, not some rich person's hideaway mansion surrounded and protected from encroachment by BLM land. Any way you look at it, the conveyance of Parcels 33 and 34 into private hands reeks of undue influence, old-boy networking and backroom politics. Please, BLM and SITLA, help me restore my trust in our public institutions. Prove me wrong. The sad fact is that we may not soon know what BLM and SITLA have planned for these remote pastures. As published on the internet, “Exhibit B - Utah Recreational Land Exchange – Federal Lands and Interests to be Conveyed” is missing two critical pages. Both Pages 6 of 9 and 8 of 9 are missing from the BLM website and therefore, from the general public record. Based on the sequence of information offered on the existing published pages, it is logical to assume that each of the two missing pages may contain information pertinent to Parcels 33 and 34. 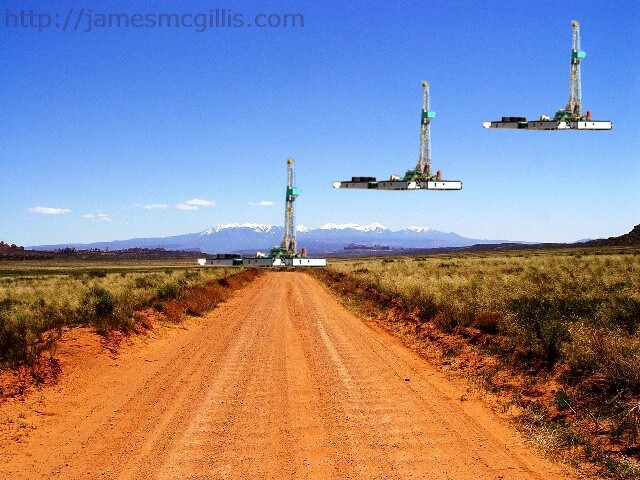 Like the disappearance of Moab's mythical hovering drill rigs, they have vanished overnight. I am not a conspiracy theorist, but the missing and obfuscated information regarding URLEA Parcels 32, 33 and 34 is too much to ignore or to sweep under the rug. My questions are these. Who made the heretofore unmentioned agreement to convey any lands in Grand and San Juan Counties from BLM to SITLA? Who decided that the parcels in question were to be assessed as “grazing land” or "residential", when in at least the case of Parcel 32, that is obviously not true? Why are two critical pages of the legal Agreement missing from the public record? 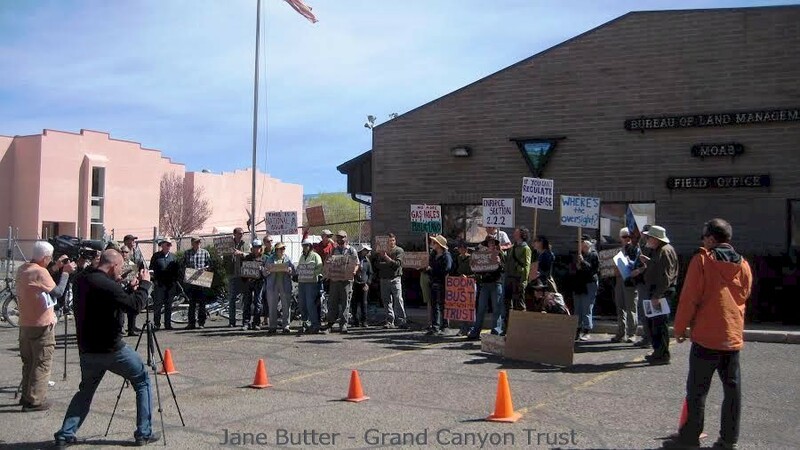 Why is any Grand County or San Juan County land conveyed to BLM or SITLA in a “recreational land swap” subject to subsequent sale and development of its mineral content? Is it just me, or does such an outcome directly contradict the spirit, if not the letter of this law? The BLM deadline for written protests to any aspect of the Utah Recreational Land Exchange Act (URLEA) is March 24, 2014. Even if you read this article after that date, it is appropriate to fax your protest to: (801) 539-4237. You may protest by U.S. Mail to: UNITED STATES DEPARTMENT OF THE INTERIOR, Bureau of Land Management (BLM) Utah State Office, 440 West 200 South, Suite 500 Salt Lake City, Utah 84101-1345. Since it is obvious that BLM and SITLA need to reassess the URLEA, I am sure that your comments will not be ignored. Less than two years ago, I wrote about the rush to industrialize the Mojave Desert with ever-larger solar thermal arrays. The most notable example was Brightsource Energy’s mega-solar plant in California’s Ivanpah Valley, near Primm, Nevada. Together, the three Brightsource units at Ivanpah obliterated 3,500 acres of fragile desert habitat, replacing it with 170,000 motorized, articulating mirrors and three massive receiving towers. On September 24, 2012, Brightsource confirmed that it had synchronized their Unit 1 station with the existing electrical power grid. 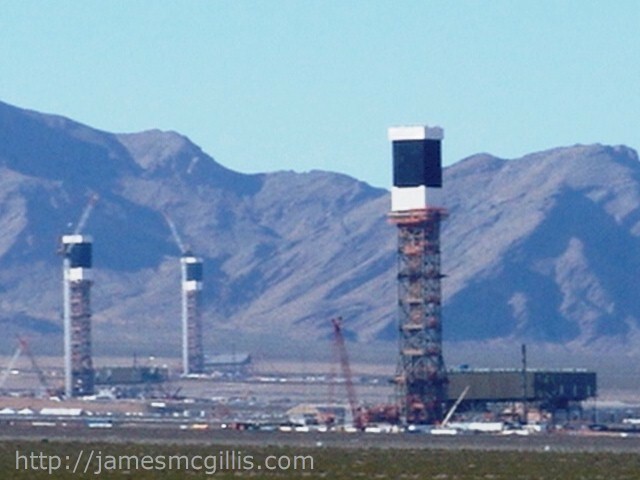 Although a photo on their website shows most, if not all of the Unit 1 mirrors in operation, no one other than the plants operators knows how many of the articulating mirrors pointed at the receiving tower during synchronization. While testing prior to synchronization, operators focused many of the Unit 1 mirrors to either side of the receiving tower. Photos taken during the test procedures show an ominous “solar flux” to either side of the receiving tower. As additional heat for steam generation was required, operators quickly moved standby mirrors to focus directly on the receiving tower. Although it amounted to a “proof-of-concept” connection, in the months that have followed, Brightsource has yet to announce repetition of the synchronization process. Since the Ivanpah project represents a quantum leap in solar thermal power generation, no one knows if it will work as planned. Will plant operators be able to point all 170,000 panels at the three receiving towers on any given day? Will the intensity of the reflected solar flux destroy the steam generators at the top of each tower? If Brightsource knows the answer to these questions, they are not talking. Their press releases featured platitudinous and self-congratulatory rhetoric about their first synchronization, but little else about testing protocols and procedures. 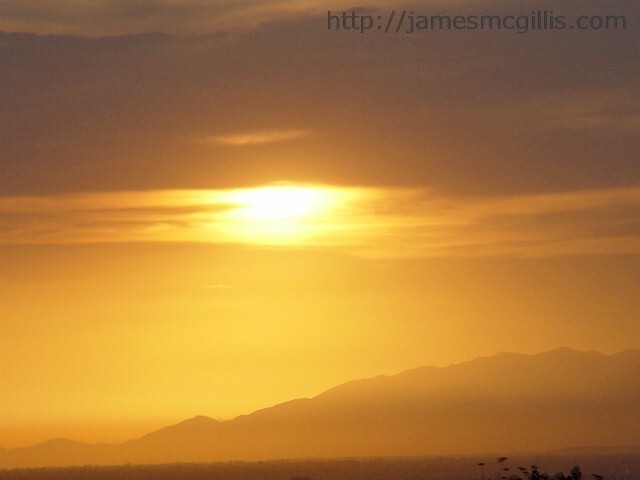 Maybe the Ivanpah mega-solar plant will succeed and maybe it will fail, but one mega-mistake is obvious. When Bechtel Corporation planned the facilities for Brightsource, they omitted any onsite thermal storage capability. If the plant ever works, it will produce power only when the sun is shining. When questioned, Brightsource said that they needed to get “several” plants working without onsite thermal storage prior adding that complexity to future projects. In other words, the technology is not yet ready to do it right. 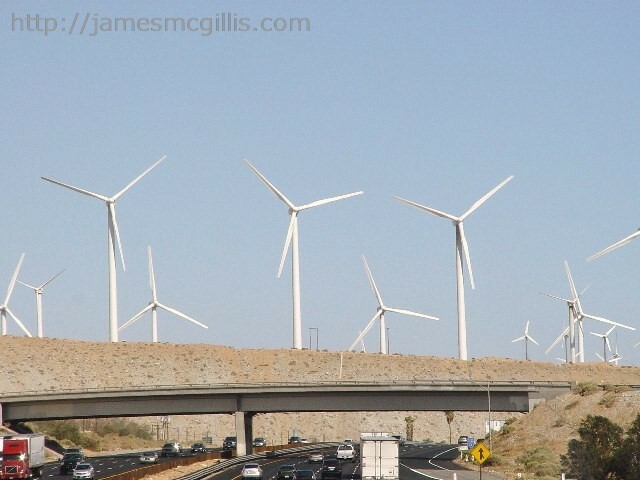 As we know, the electrical grid is a complex and vulnerable infrastructure. Adding or subtracting too much power too quickly can cause cascading shutdowns of the adjacent grid. If Brightsource and Bechtel can simultaneously synchronize all three units with the grid, the lack of onsite thermal storage will limit electrical power production. 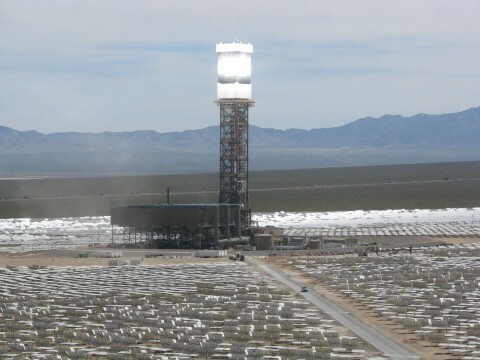 If liquid-sodium thermal storage was present at Ivanpah, it could help balance and augment power generation at the site. With onsite thermal storage, co-generation could begin prior to sunrise and the mirrors could come online as the thermal storage dissipated. That would allow for a smooth ramp up of power entering the electrical grid. Without co-generation from onsite thermal storage, operators must bring each unit slowly up to power. Once operators achieve that elusive synchronization with the electrical grid, they can then focus additional mirrors on the receiving towers. At some point during the day, one would hope that all 170,000 mirrors would focus on the towers. In the late afternoon, operators would refocus more mirrors away from the receiving towers. By sunset, the towers would go dark, steam generation would cease and the process of disconnecting each of the three units from the power grid would commence. The following morning, each unit would go through the delicate process of reheating and synchronization with the grid. The situation almost guarantees that the massive plant will rarely achieve maximum power output and will spend much of its time ramping up and ramping back down. No one has said what would happen if a desert thunderstorm were to move rapidly over the solar array. What effect would so rapid a withdrawal of power do to power generation and synchronization to the electrical grid? What effect would a downpour have on the superheated receiving towers? If storms were in the forecast, the plant would have to operate at lower power, in anticipation of possible weather related shutdowns. Like an old-fashioned steam locomotive, contemporary steam generators are more efficient and last longer when they operate continuously. Unlike a diesel electric locomotive, which can be brought up to operating temperature quite quickly, the firebox of a steam locomotive is kept hot until it is taken out of operation for maintenance or repair. Restarting these ancient “steam generators” is a time consuming and delicate process. Likewise, daily thermal cycling of the superheated steam generators at Ivanpah guarantees premature wear and increased operating costs. In their haste to design and build the largest solar thermal energy station ever, Brightsource and Bechtel have made two potentially fatal errors. First was the aforementioned lack of onsite thermal storage and co-generation. Second was their use of single-sided mirrors for focusing sunlight on to the receiving towers. Had Bechtel taken a little more time in designing the systems, they could have designed the 170,000 articulating mirrors to flip over, thus exposing passive solar electrical panels affixed to their undersides. If they had utilized this scheme, the majority of panels could start each day in passive solar mode, generating sufficient electrical energy to synchronize with the grid. Upon achieving synchronization, operators could begin flipping panels so that their mirrored sides would focus on a receiving tower. As sundown or a thunderstorm approached, operators could begin flipping panels from reflecting mode to passive reception mode, thus smoothing the ramping down of electrical generation and eventual disconnection from the grid. 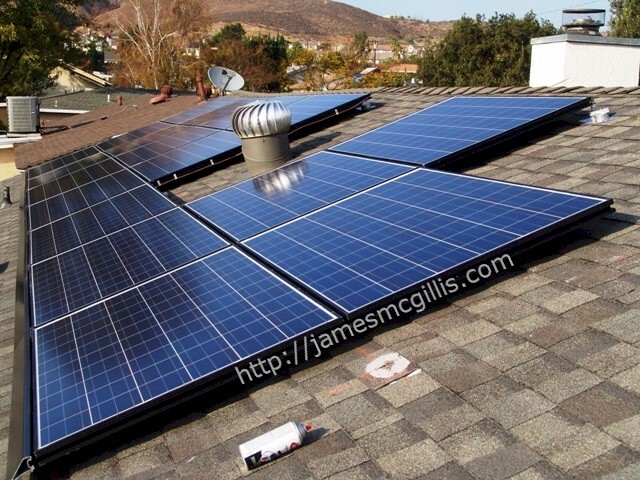 The key to this plan is to switch quickly from solar reflecting mode to solar receiving mode. Before state and federal regulators approve construction of any additional solar thermal plants in our fragile desert environment, they should require both thermal storage and passive solar additions as part of any new plant construction.